Jesse Machado Jr., has accepted a promotion to the newly created Environmental, Health, and Safety Coordinator position. As the new EHS Coordinator, Jesse reports to John Boswell and is responsible for Confined Space projects, DOT compliance, Field Audits, and promoting a healthy WindCom Safety culture as well as other duties as needed. He chose WindCom after three rewarding and fulfilling decades in the Insurance, Education, and Oil & Gas industries. 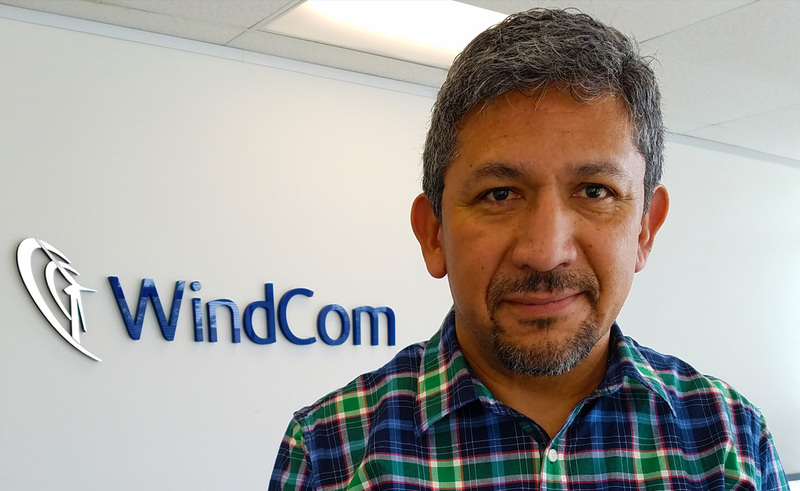 Since joining the WindCom family in 2015, he was quickly promoted to Ground Team Lead where he was then mentored by the best WindCom blade artisans and within the year was promoted to Platform Team Lead. Born and raised in San Antonio, Jesse is an alumnus of the Texas A&M Engineering Extension Service and brings a wealth of perspectives, experiences and skills to support and enhance the foundation John and WindCom have already built. He is a Christian and happily married to his wife Clara. Together they have 4 daughters, 1 son and 1 granddaughter. Jesse is an avid Harley rider/aficionado, a Chaplain for a Worldwide Motorcycle Ministry, and a proud USAF Veteran.